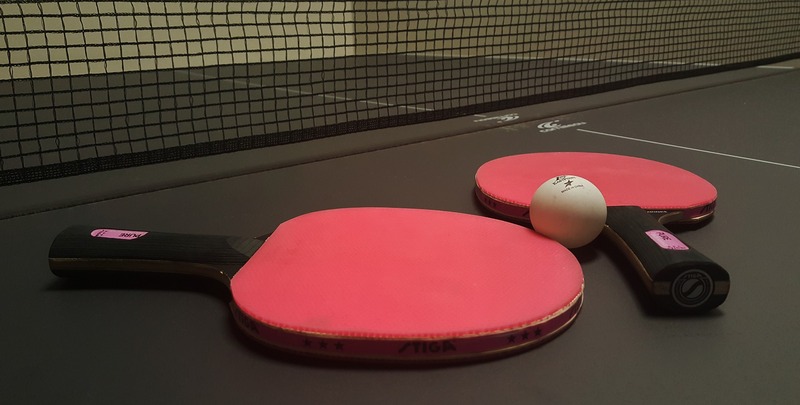 The science behind ping pong paddles. Explained. Ok, so you need a ping pong paddle. Not just some paddle, you want the best. You probably think: “Yeah, it’s just a piece of wood with some rubber on it, nothing special, I’ll just buy an expensive one and win every game, right?” Wrong! Let’s face it: most of the paddles you can buy in a local Walmart (or any other non-specialized department store), are junk. Not only the quality will be sub-par at best, the chance that you will enjoy playing with it, is very close to zero. 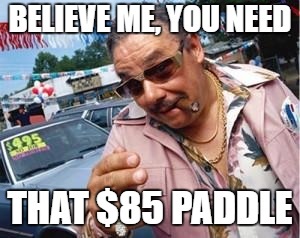 That being said, it doesn’t mean you need to spend a fortune on a great paddle. On the opposite, we strongly believe that as a beginner or mid-level player (and if you’re reading this, you’re probably are one or looking for paddle for someone who is), you must buy an inexpensive racket. Luckily, there are many paddles like that, and we’ll help you find the one. As a beginner, you probably don’t know yet, what your playing style is. This is why you should not go extreme towards defensive or offensive models. Let’s assume that you’re born as an attacking player, and you get a defensive paddle. Not only will you risk spending extra money on something you don’t need, you will not be able to develop your skill and enjoy the game in general. So what to do? 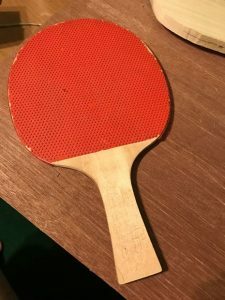 Easy, just buy an all-round paddle that will not only help you understand what kind of play is yours, but will help you enjoy the process down the road. You basically have two options: buy a complete pre-assembled paddle, or assemble it on your own from separate components – rubber/sponge and blade (you will also need some special glue). It’s cost-effective. You can buy a decent paddle for about $30-35. If you through the do-it-yourself route, you can easily spend a hundred or two and get a paddle you won’t be able to play. You spend no time on research, and get an (almost) perfectly balanced racket. It’s features are even and allow you to develop your table tennis skills gradually. There are thousands of rubber/sponge combinations (each of them can be different thickness, tackiness, etc. ), hundreds of blades (plies of wood are placed in different order, ). Add to that a number of glues – there are fast and slow glues, water and water-less. All these factors make a huge difference on the way the paddle plays. It all makes endless amount of unique paddles, and each of them plays differently. … and you friend will easily beat you even if he will use Campbell Biology 11th Edition as a paddle (well, that’s probably a heavy one, but you get the idea). There are lots of amazing paddles for less than $40. Anyone trying to convince you to pay more for your first racket is probably going to sell you something you don’t need. As you can see, a slightly better paddle will give much more control and allow you to master more advanced shots like topspin. As mentioned above, a ping pong paddle consists of three main elements – rubber, sponge and blade. There’s also glue that holds them all together, but we won’t cover it now as it’s a topic for more detailed discussion. When choosing a racket you will often see a numeric value for three of the following specs: Speed, Spin and Control. Rubber, sponge and blade have direct or indirect control on each of these specs. Let’s talk about rubbers and sponges first. Quality of rubber and a sponge attached to it is the main factor that determines the quality of the racket you play and more importantly, HOW it plays. We’re not saying blade is not important, it’s just that as a beginner, you will notice bigger difference in two rackets with different rubbers, rather than blades. When the ball hits the rubber surface, it causes the underlying sponge to compress. At this moment of time, the following happens: the ball is ‘embraced’ by the rubber and sponge. The thicker the sponge, the bigger is contact surface, therefore, the higher is spin. Also, thicker sponge means higher ball speed, as it bounces back. You might now think: hey, more speed and spin, isn’t that great? Well, it is, but don’t forget about control. You see, specs of ping pong paddle are always a compromise. Here’s what we mean: in the case described above, higher speed and spin are achieved through increased sponge thickness, and it gives you less control over the ball, since it’s much easier to handle the ball with less thick sponge/rubber combination. It’s good for experienced players leaning towards offensive, attacking style in their play, but not beginners. That is why, again, we stress the importance of choosing a well-balanced paddle as your first one. Here’s a short summary of rubber specs and what each of them means. This a force created by density of rubber and thickness (and therefore, bouncing force) of underlying sponge. Optimal speed rating is about 7-8. Speeds of 9 and 10 (not very popular) are created mainly by thicker sponges (2.5mm), and lack control. A force created due to two factors – tackiness of rubber and sponge thickness. Cheap paddles have either non-tacky surface that can’t create any spin at all, or too tacky rubber that will lose it’s quality within first days of use. Recommended spin for beginners is again 7-8. It will allow you to learn such skills as topspin without sacrificing other parameters of your racket. Either used in very cheap paddles (you can hear a hollow wooden sound from a paddle with thin sponge), because of it’s price, or defensive-style experienced players. Of course, the latter use rubbers and sponges of totally different quality and with a clear purpose - they give more control. Most common. That’s what we recommend for beginners and mid-level players. It has both speed and a decent amount of control that you need when you’re just starting. But, many professionals who like to play closer to the table with fast spinning attacks prefer this thickness, too. Maximum thickness allowed by current ITTF rules on competition level. Maximum amount of speed and spin, less control. Usually used by offensive attacking players who play pretty far from the table. Not recommended for beginners, since this style of play is not for everyone and requires years of experience. It’s important to understand that sponges differ not only in thickness, but the quality of the foam used in sponge is also different (types of rubber, amount of ‘bubbles’, etc.). Manufacturers usually use a separate color for different sponges, but there’s no unified standard and it differs from brand to brand. There also are two different ways the rubber sheet can be attached to the sponge – pimple-in and pimple-out. We recommend going with pimple-in option that you will see on most paddles. Pimple-out is not used that often nowadays. Still, people who know the exact benefits of these rubbers don’t want to change them for anything else. A blade in your paddle is just as important as rubber and sponge. Just like the latter, blades have a number of features that differ them from one another. Usually, paddle and blade manufacturers use a 1-10 scale to determine its characteristics. Sometimes 1-100 scale is used. Control blades allow are better when you not only start playing, but are progressing your game, too. The higher the control value is, the lower is speed. This is why experienced attacking-style players often choose to sacrifice control over speed. Still, some blade manufacturers now experiment with unique combinations of layers and using expensive materials such as carbon fiber in their blades. It allows to have decent speed combined with good control. The price for such blades is a bit over the top and it’s not something we would recommend for beginners. Still if you want to go extreme in either control or speed, you will need to give something up. Blade weight is an extremely important factor that determines the way your bat will play. It’s usually between 65 and 105 grams, without rubber and glue. Some paddle manufacturers like Donic have variable weights in some of their models. This is achieved by placing weight(s) in the handle via an insert. You're a beginner with defensive style of play. More confident as beginner, still prefers defense, but wants to learn attack. Player with some experience who prefers attack over defense. Player with offensive style. Defense with this type of blade can be a challenge unless you have mastered certain skills. The speed of ball is determined not only by the power of your hand, but by the blade. Type of wood the layers are made of, how they are combined, whether there are carbon layers or not – all that affects the speed. Good for attacking players that can sacrifice control. This is the speed type that we recommend. Very popular among beginner - and middle-level players. Allows to play consistently both in defense and attack. Favorite blades for those who love topspin. A choice of defensive players. Usually combined with thin rubber and sponge, for even better efficiency in defense. However, it comes at a cost - creating a good attack with such a paddle becomes almost impossible. Sometimes, this type of blade is recommended for beginners. However, we lean more towards all-around blades that allow gradual development of all skills. Some handles are good for one type of grip and are not suitable for another. Here’s a table for you to better understand the concept. Sometimes it’s also called double-flared for extra widening in the middle. Some players insist it provides better grip. Still, this type of handle is not very popular and can rarely be seen. Straight handles are second-most popular (after flared, or FL). Mostly used by players preferring defensive style. Flared grip is also called Concave. This is probably the most popular grip nowadays. It’s also very comfortable, and fits most hands. We recommend this type of grip for all beginner players. Conical handles are almost exclusive for Stiga paddles and are more popular between players with larger hands. Mostly used by attacking players who prefer control over power. These handles are shorter than any other. Created for attacking players (hence the lack of backhand flexibility). The blades are usually very light and can produce very fast shots. Extremely poor control.